Constructed in 1644 for the Reverend John Lothrop, founder of Barnstable, the house which forms the original part of the Library is the oldest Library building in the United States. The building is also one of the oldest houses remaining on Cape Cod. Since Reverend Lothrop used the front room of the house for public worship, another distinction of the Sturgis Library is that it is the oldest structure still standing in America where religious services were regularly held. This room, now called “The Lothrop Room,” with its beamed ceiling and pumpkin-colored wide-board floors, retains the quintessential early character of authentic Cape Cod houses. 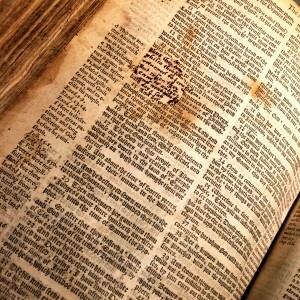 Reverend Lothrop’s bible, with handwritten repairs to the pages, is on display in this room. On February 25, 1782, William Sturgis, a direct descendant of Reverend Lothrop, was born in this house. To help support the family after the death of his father, William went to sea at the age of 15. In 1810, he founded Bryant and Sturgis, clipper ship owners engaged in the Northwest and China Trades. In 1863, after a successful career, Captain Sturgis willed his former home, plus $15,000 in bonds, for the establishment of a village Library in the village of Barnstable. The Library opened in 1867 with 1,300 volumes, many of which came from Sturgis’ private library. Today, Sturgis Library is a national treasure. Listed on the National Register of Historic Places, the Library is situated on the “Old King’s Highway,” recently named as “one of the ten most scenic byways in America.” The Library Collections have grown to over 65,000 volumes, including the Special Collections. These include the Cape Cod History Collection of books, manuscripts, photographs and microfilm, the most important collection of its kind in the United States; the Kittredge Maritime Collection, one of the finest maritime collections on the East Coast, notable for its concentration on Cape Cod sea captains and vessels; and the Lothrop Genealogy Collection, which is used by genealogists from all over the United States in examining their connections to Cape Cod History. 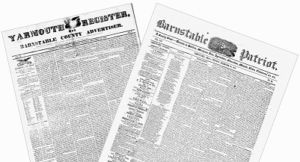 Read an article on the opening of the library, originally published in the Barnstable Patriot in 1867. Learn more about the early collections of the Sturgis Library in an article by Renee Roberts. Read a historic poem about the library, originally published in the Barnstable Patriot in 1906. View an interview of Library Director Lucy Loomis by Barnstable This Morning’s Sara Mannal on the history and collections of the Sturgis Library.